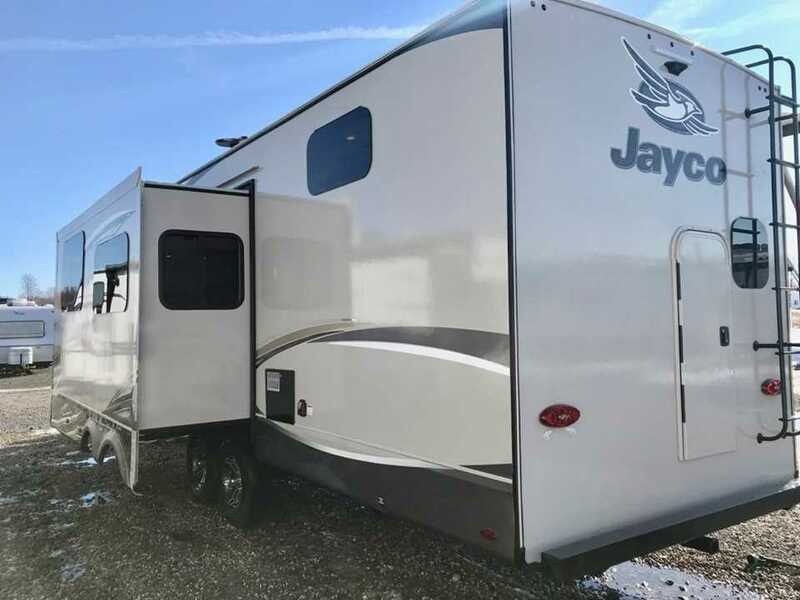 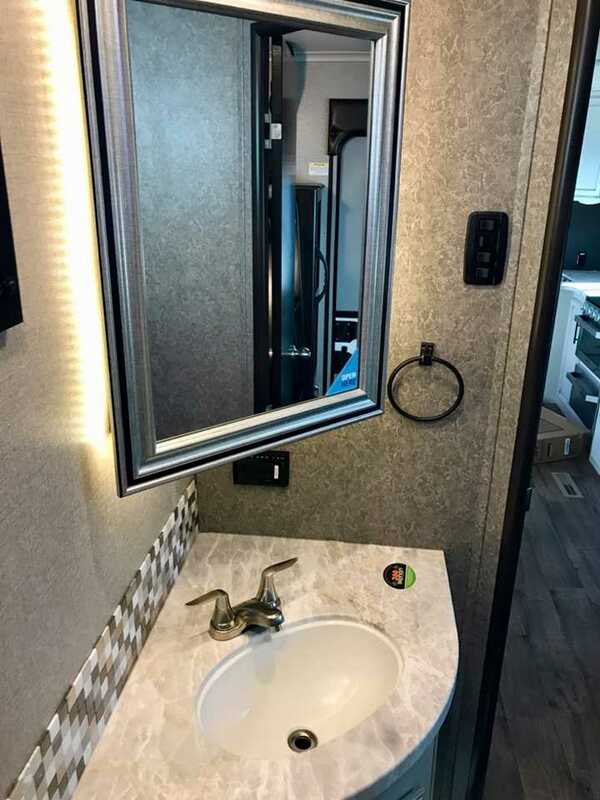 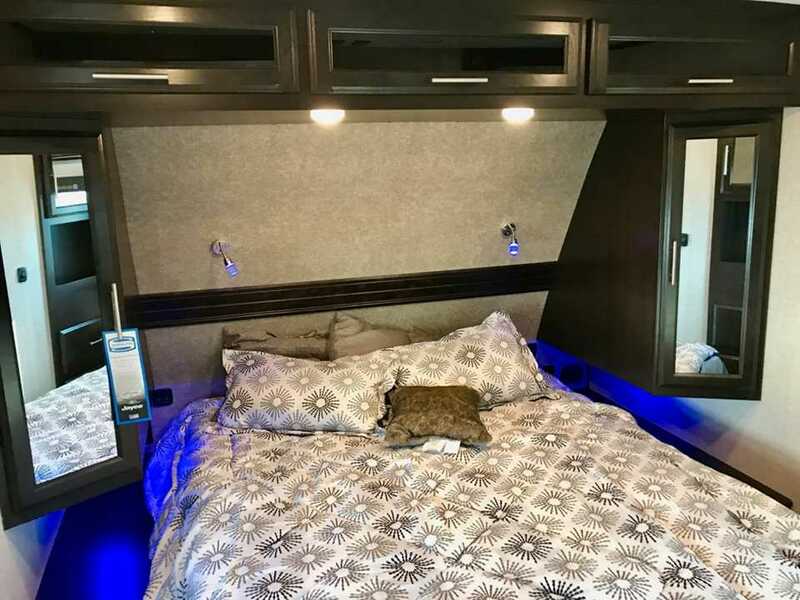 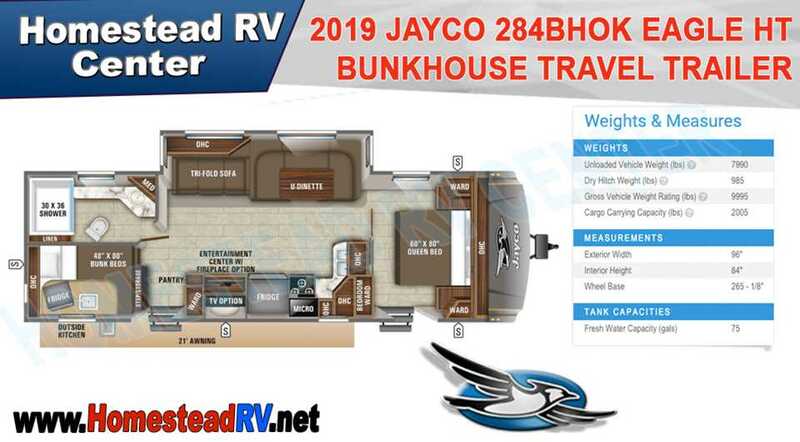 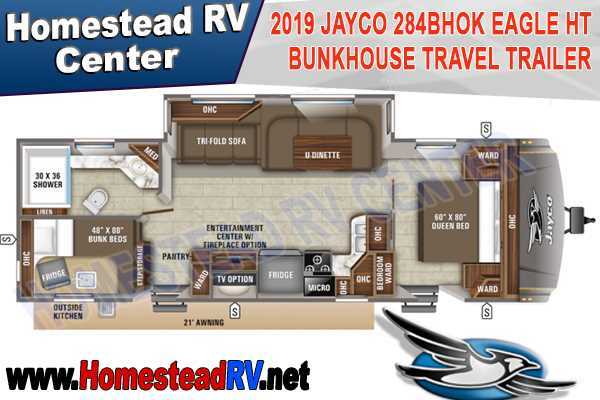 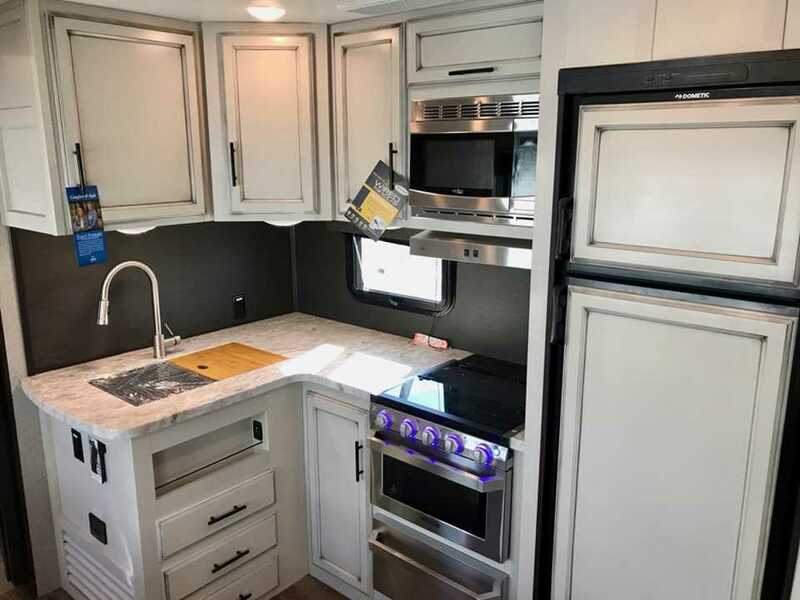 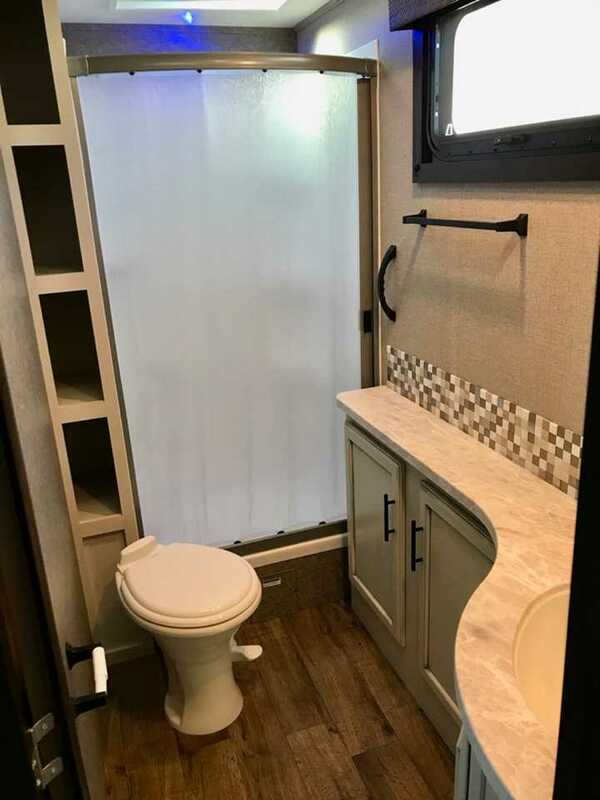 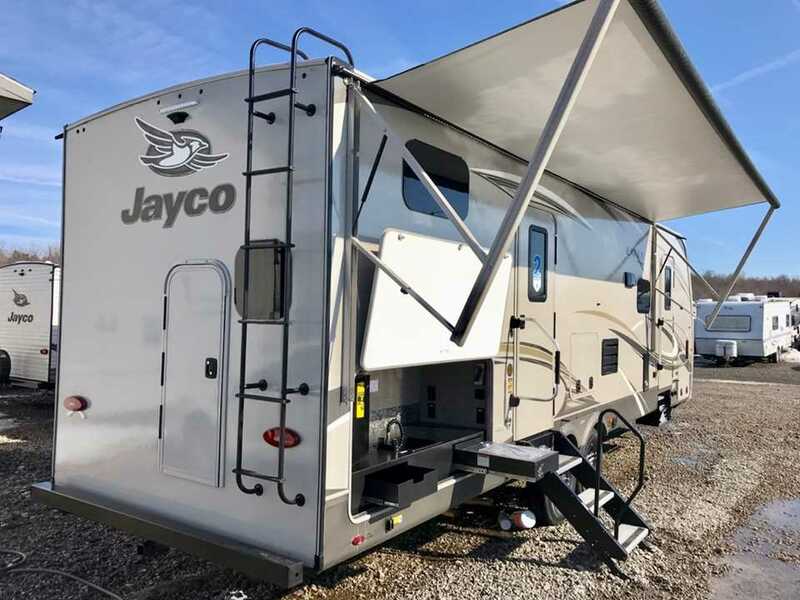 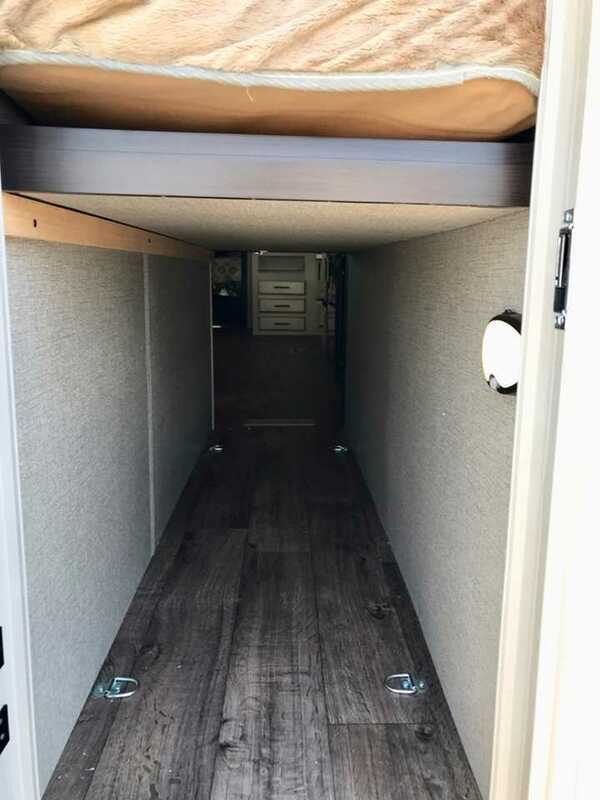 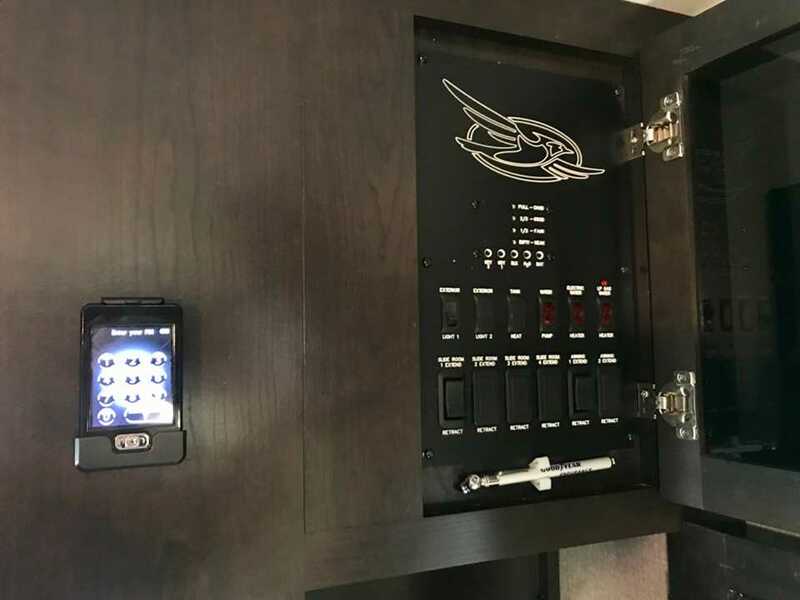 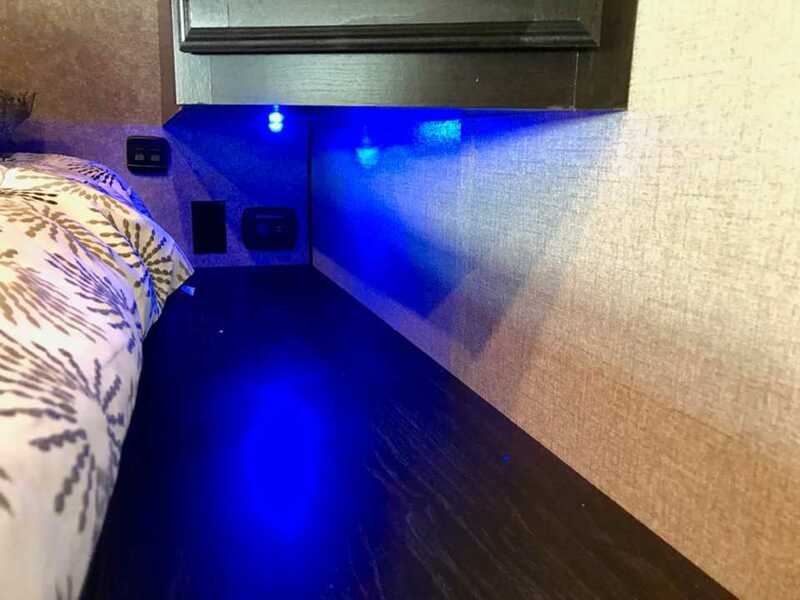 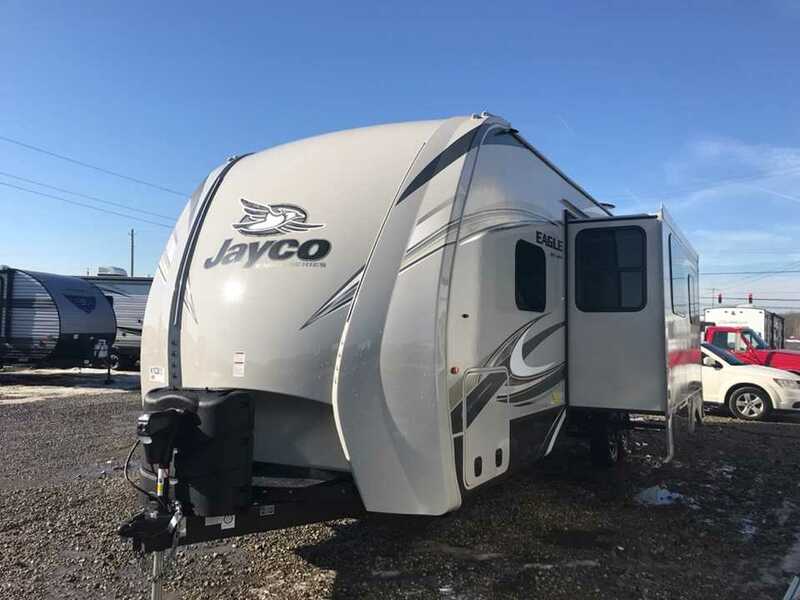 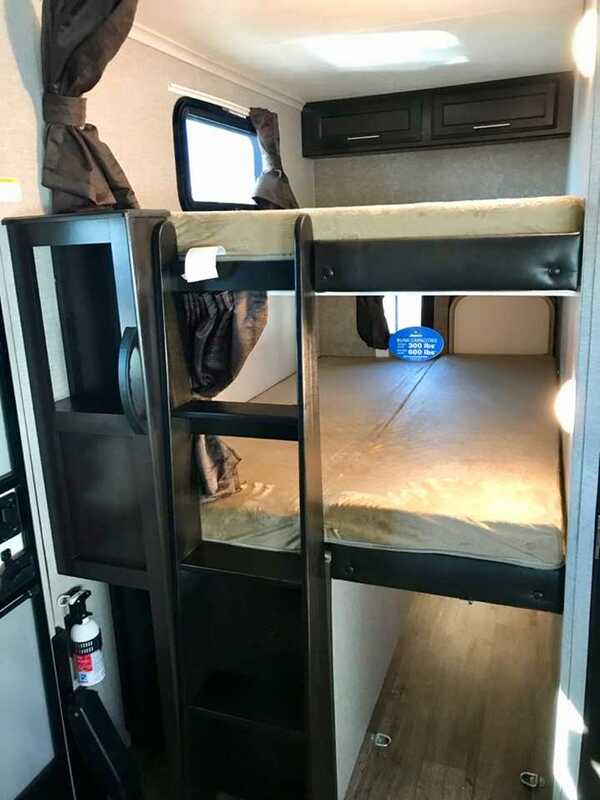 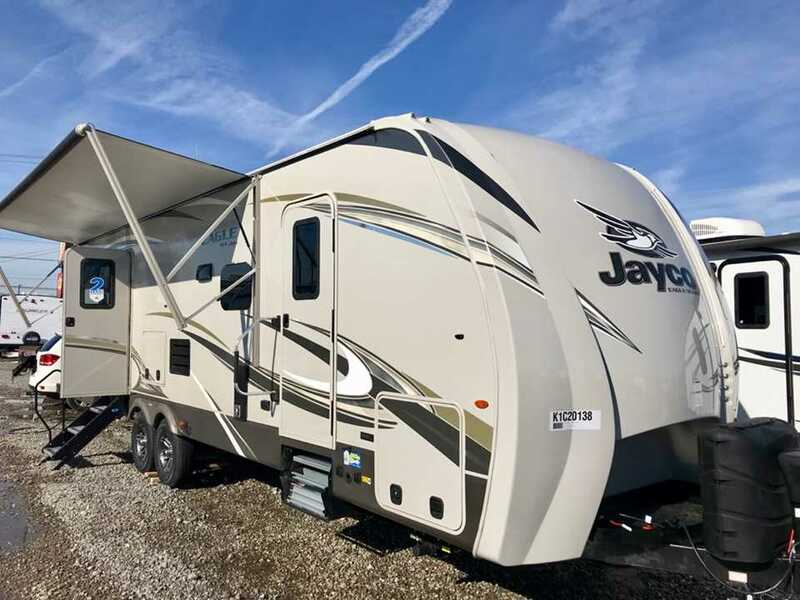 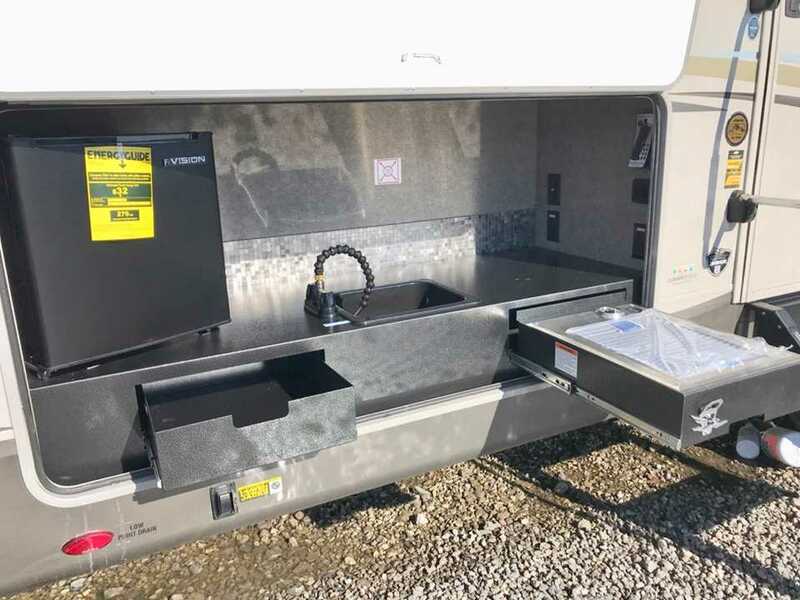 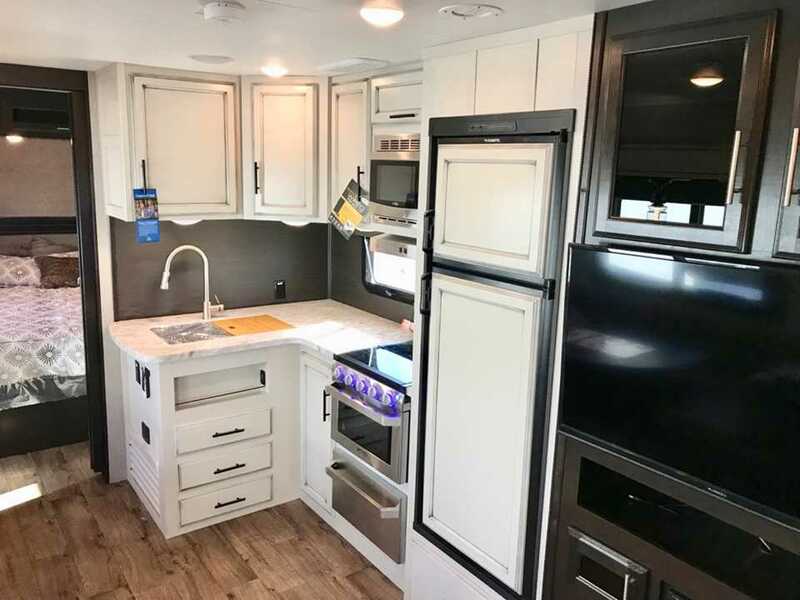 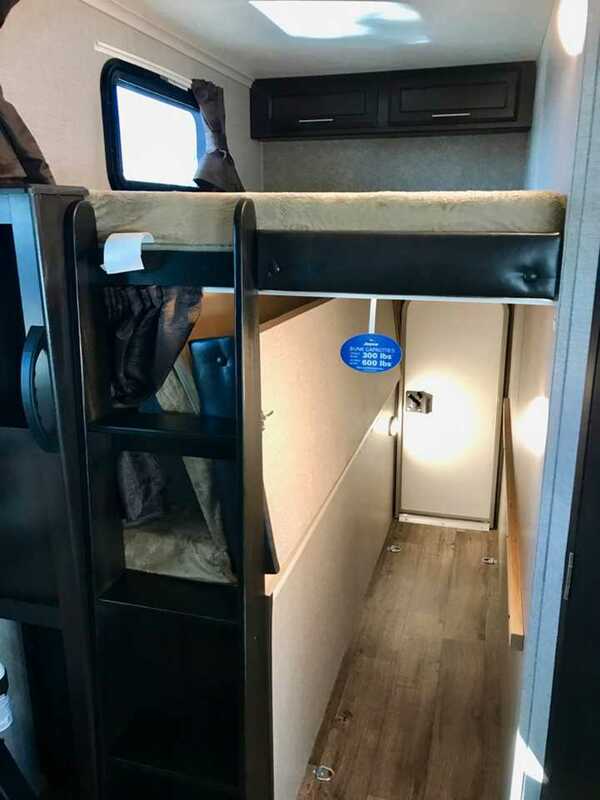 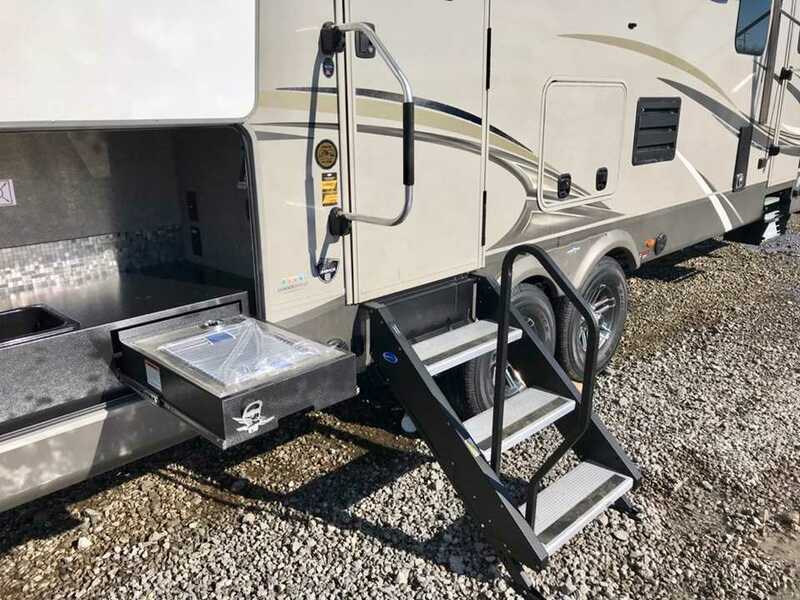 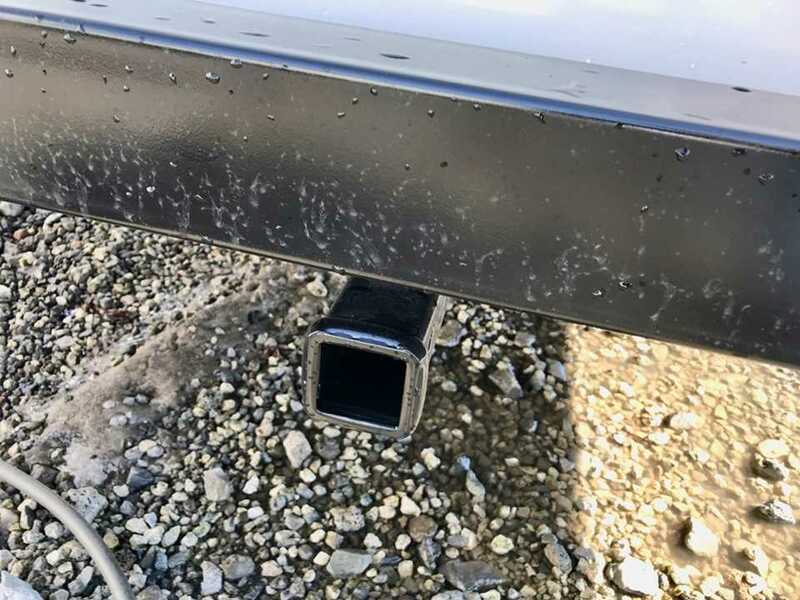 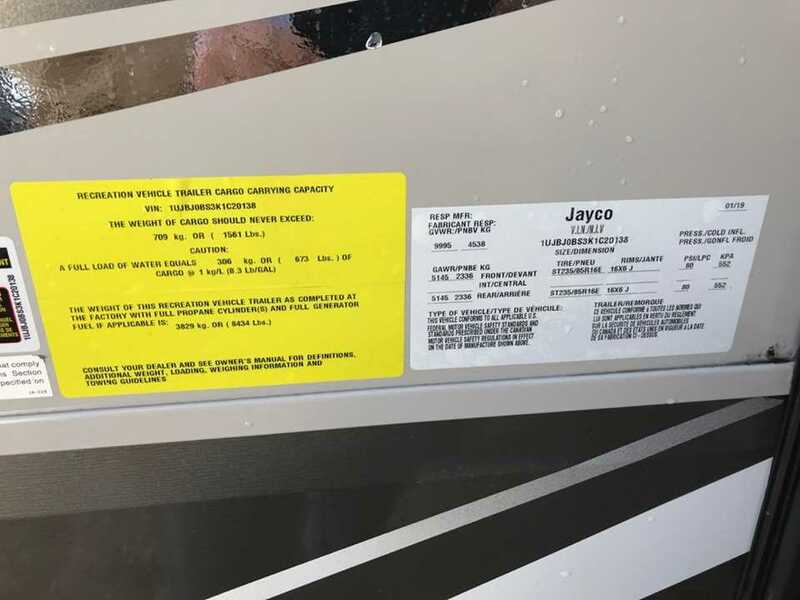 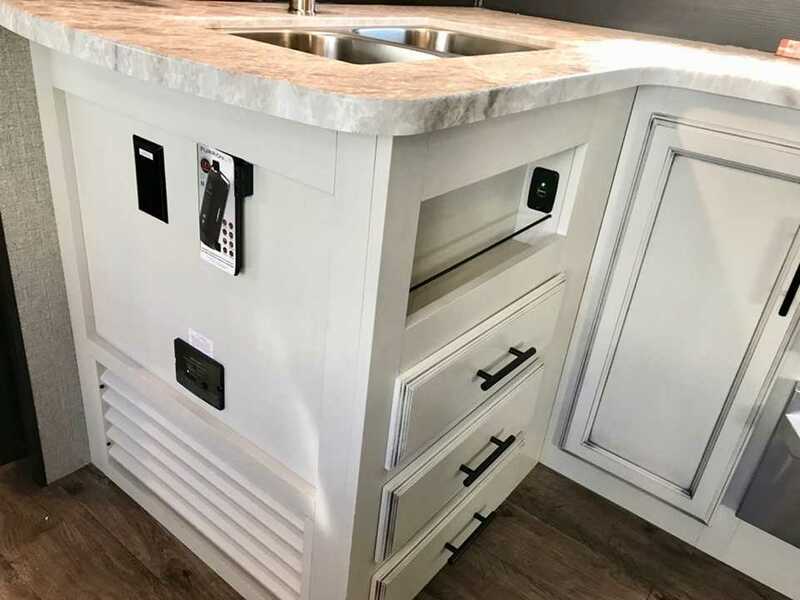 Eagle Super Lite HT 284BHOK floorplan by JAYCO. 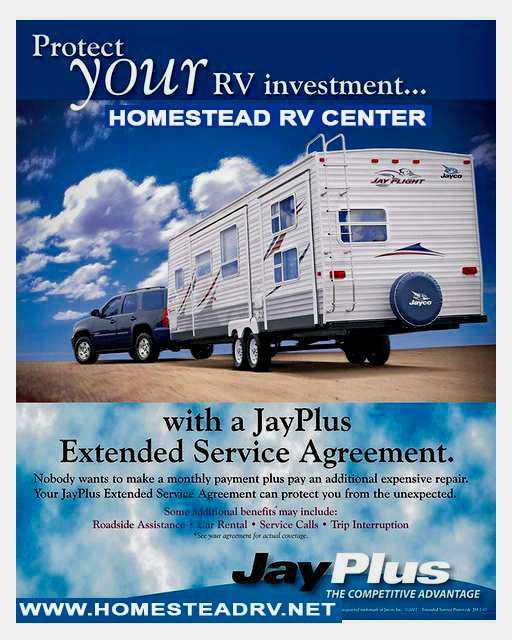 CUSTOMER VALUE PACKAGE: Goodyear® Tires with Aluminum Rims, Dexter axles, 15k BTU “Whisper Quiet” A/C, Quick Recovery Water Heater, Simmons® Mattress, Electric Patio Awning with LED Light, Friction Hinge Entry Door, Stainless Steel Range with Glass Cover, Microwave, MORryde CRE-3000 Suspension, Rear 2" Receiver, LED HDTV, A/V System with Bluetooth® and HDMI®, Hidden Hinges, Bathroom Power Vent, Ground and Rooftop Solar Prep, Backup Camera Prep, Bluetooth Speaker Prep, Digital Thermostat, Wireless Remote Control, Keyed-Alike Lock System. 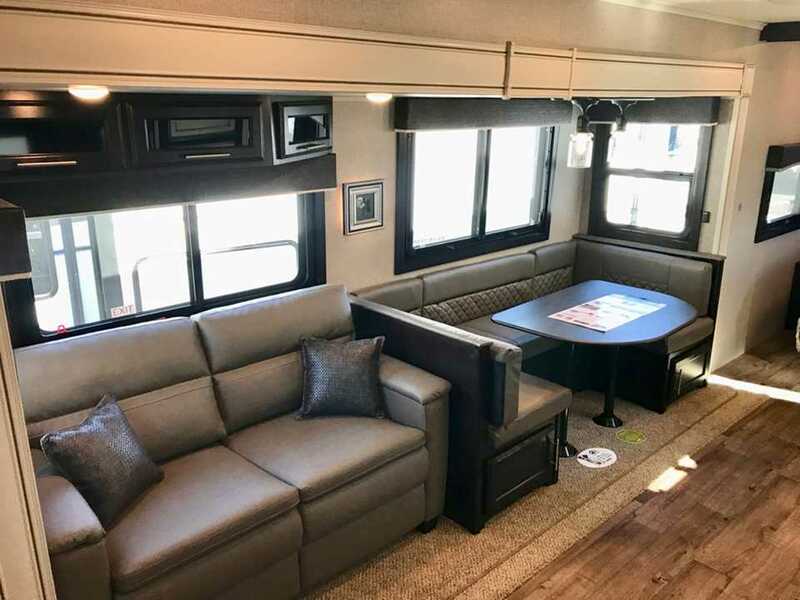 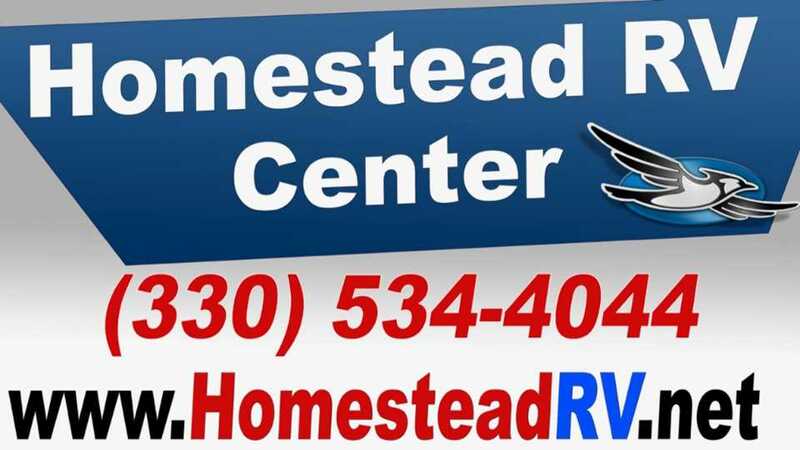 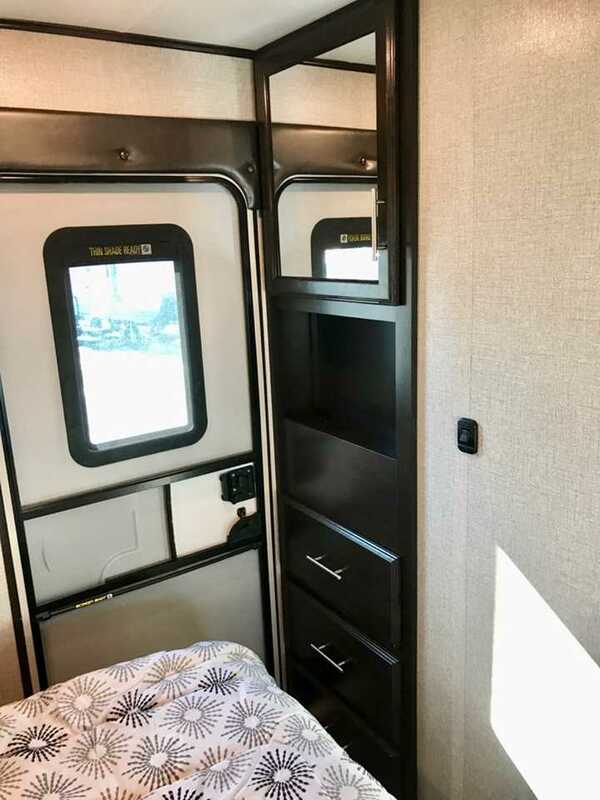 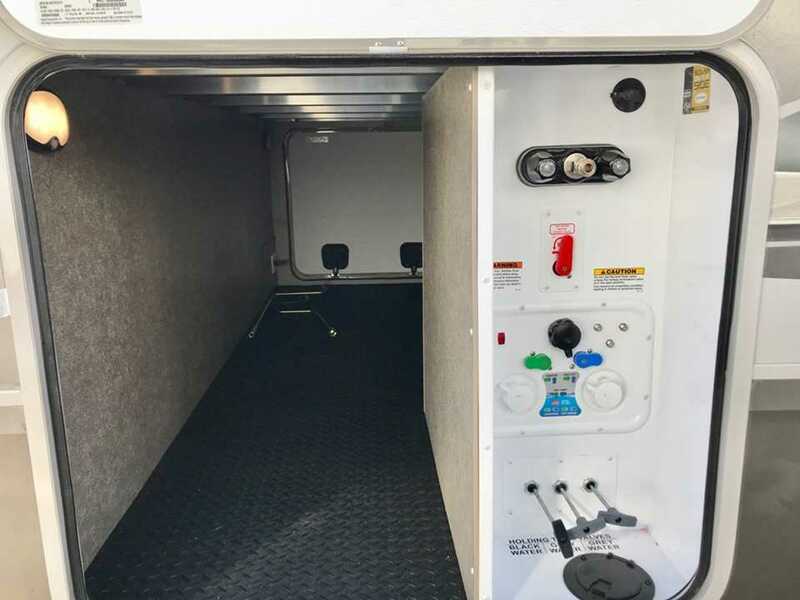 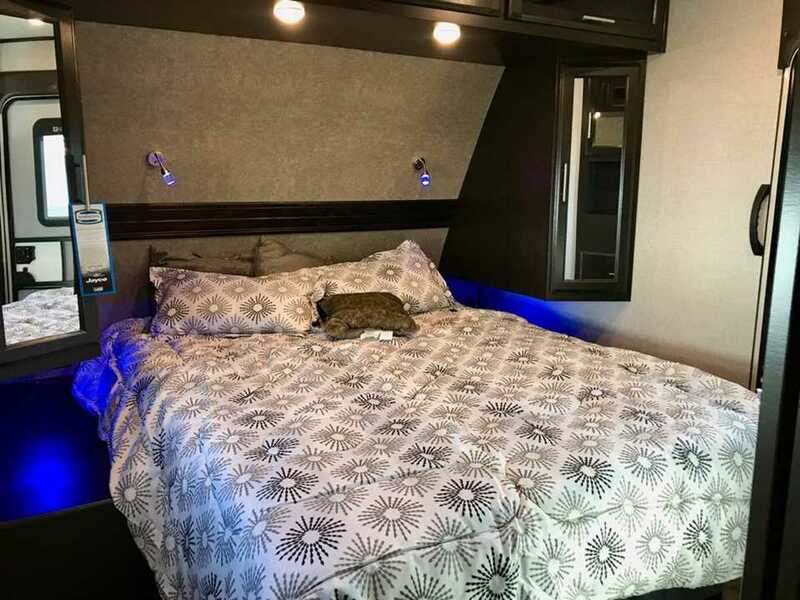 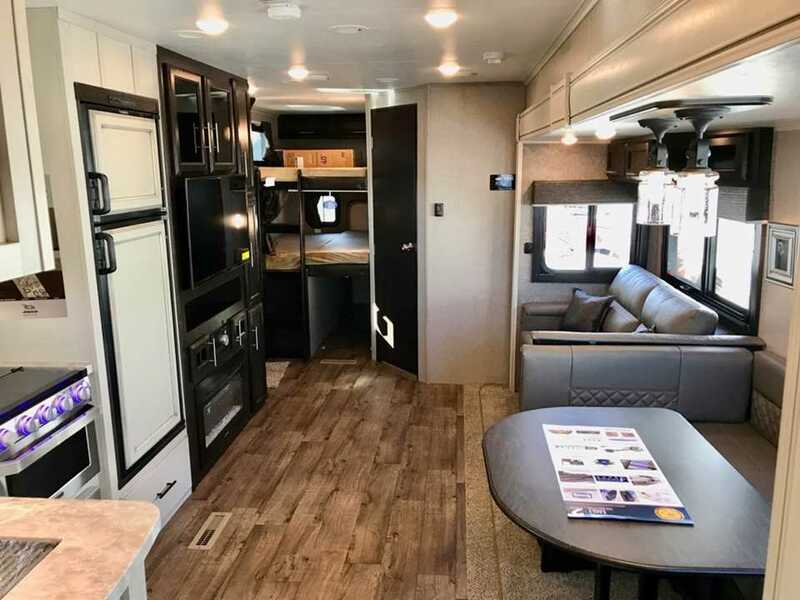 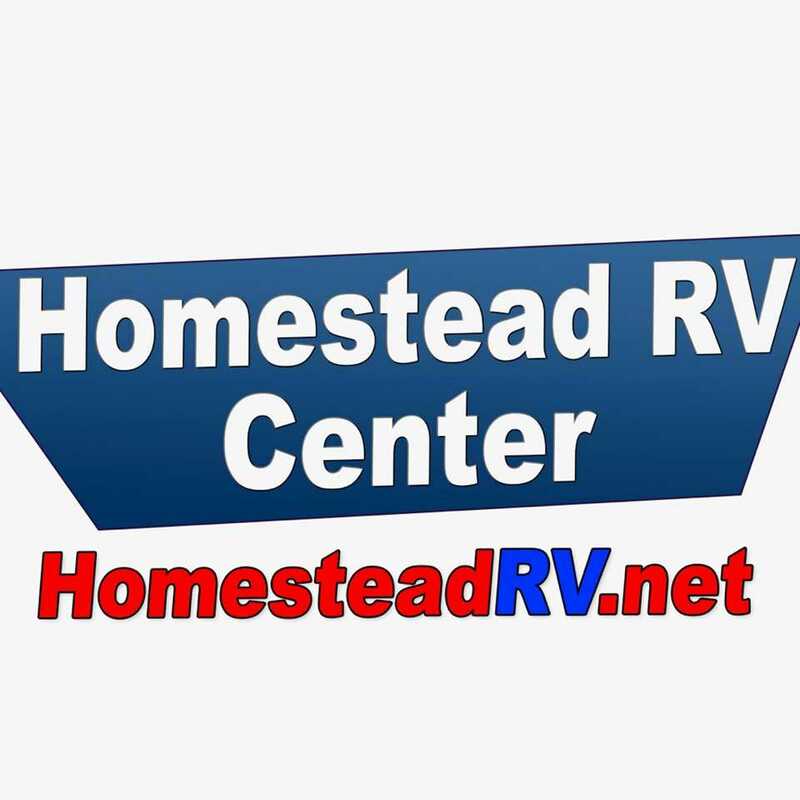 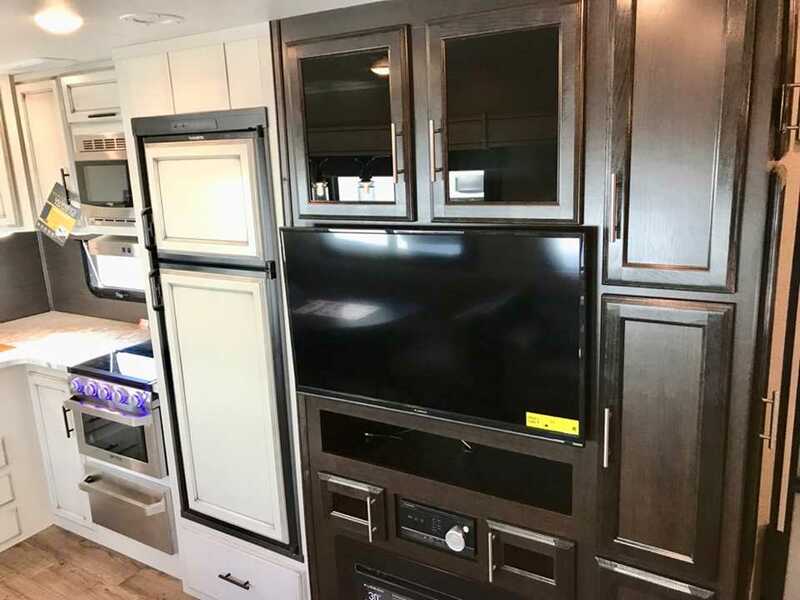 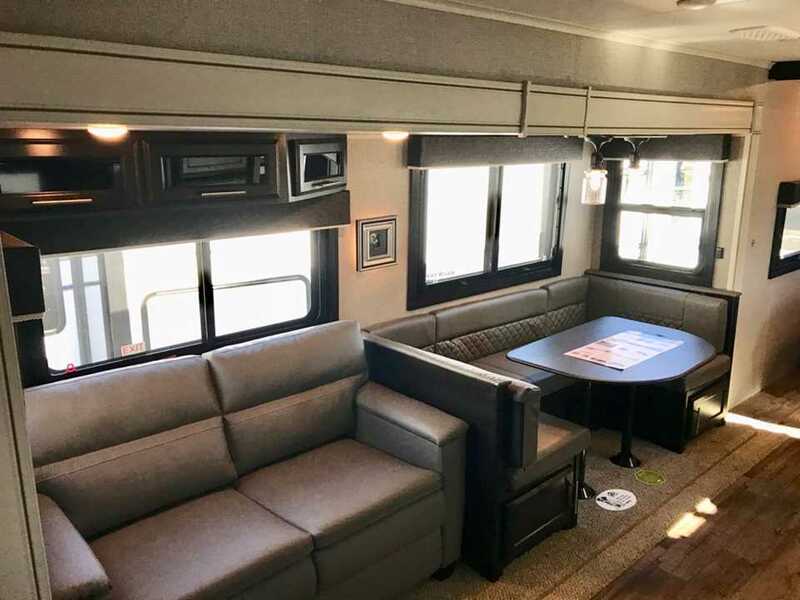 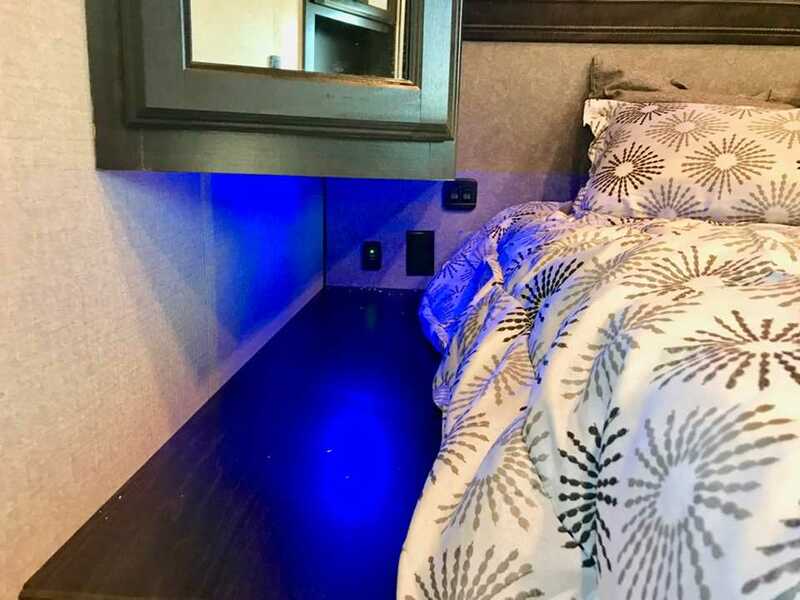 OTHER INCLUDED OPTIONS: 16" Goodyear Tire Upgrade, Electric Stabilizer Jacks, 50 Amp Service with 2nd A/C in Bedroom, Fireplace, Frameless Tinted Safety Glass Windows.